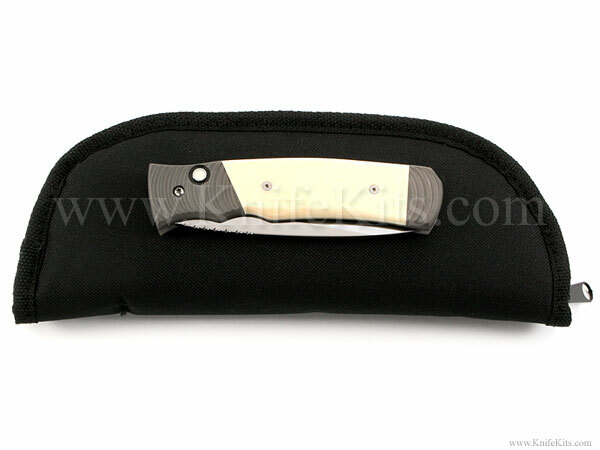 This zipper pouch design is the culmination of years of knife collecting and show carry/display experience. 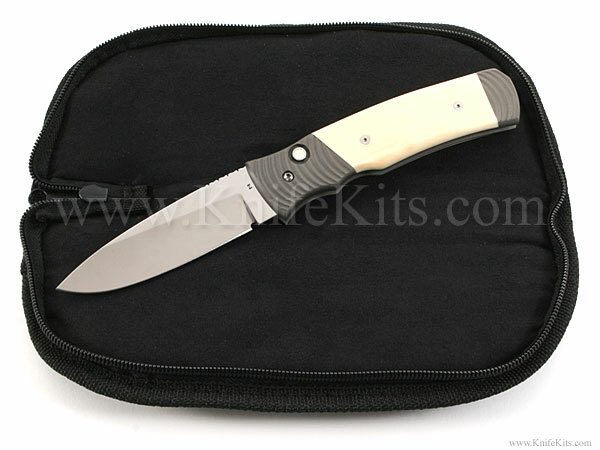 We have designed this model to work both as a standard zipper carry pouch, as well as having the unique property of laying fully open when unzipped to create the ultimate show table display pad for your creations. 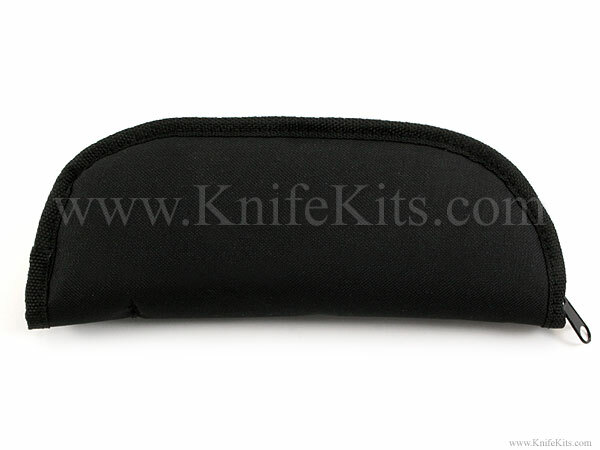 Fully padded and incorporating a fully concealable, inner sewn zipper, this zipper carry pouch is quality-made and will protect your knife and collectable investments for many years. This model is lined with a nonabrasive, lint-free jewel cloth for maximum protection. Keep your work clean and dust free. 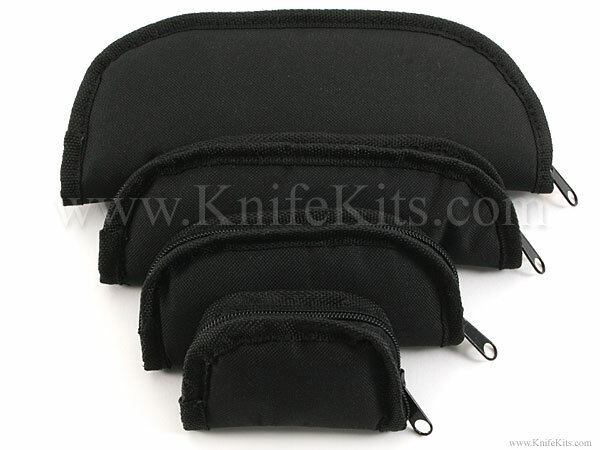 Zipper pouches are great for folding knives, glasses, cell phones and other items. 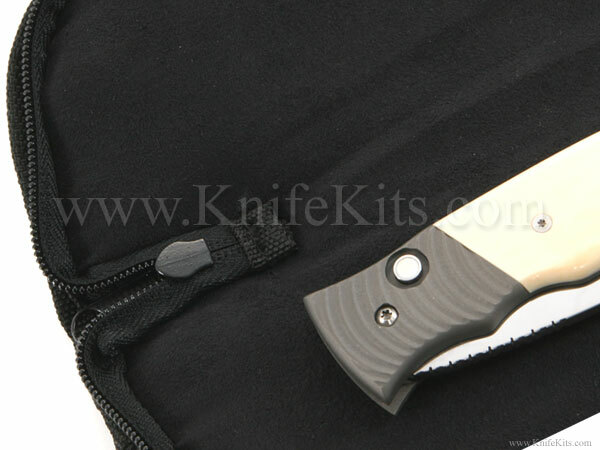 A must for any knife enthusiast. Closed: 8-3/4" x 3-1/2" x 1-1/2"
Open: 8-3/4" x 7" x 1-1/2"
Note: Images below show samples of several pouch sizes. Please refer to the image above for product reference.